As the school holidays draw closer children can look forwad to taking part in a series of fun days in Donington. Give It Some Fizz Fitness, Sports and Education is running the action-packed days in July and August at Donington Community Centre, featuring sports, games and crafts for 5-11 year olds. Children will have the chance to try out a range of sports, from football to kwik cricket, handball and rounders, including multi-skill games and activities. 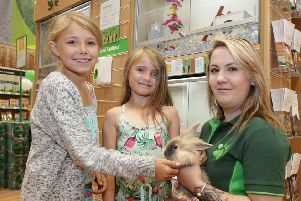 Owner of Give It Some Fizz, Zoe Myall, said: “We’ve put together the fun days to keep children entertained, while keeping fit and active at the same time. The fun days are on July 28 and 29 and August 11 and 12, from 9am-3pm. The cost is £15 per day, with discounts available for siblings. Children should wear suitable clothes for sports and bring a packed lunch and drinks for the day. Call Zoe on 07921 553849 or email giveitsomefizz@yahoo.com to book spaces.